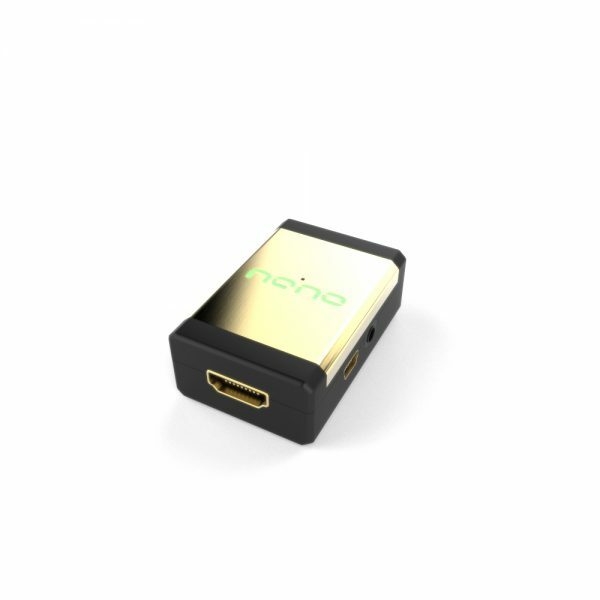 World smallest HDMI to VGA converter with Audio output and Gamma-X features integrated. Ultra low power consumption 5V from DVI/HDMI or external power supply. The brand new HDfury I Nano GX handles all video formats down to SD (480p) and all the way up to Full HD (1080p60). A perfect companion for budget projector or small RGB monitor/display. 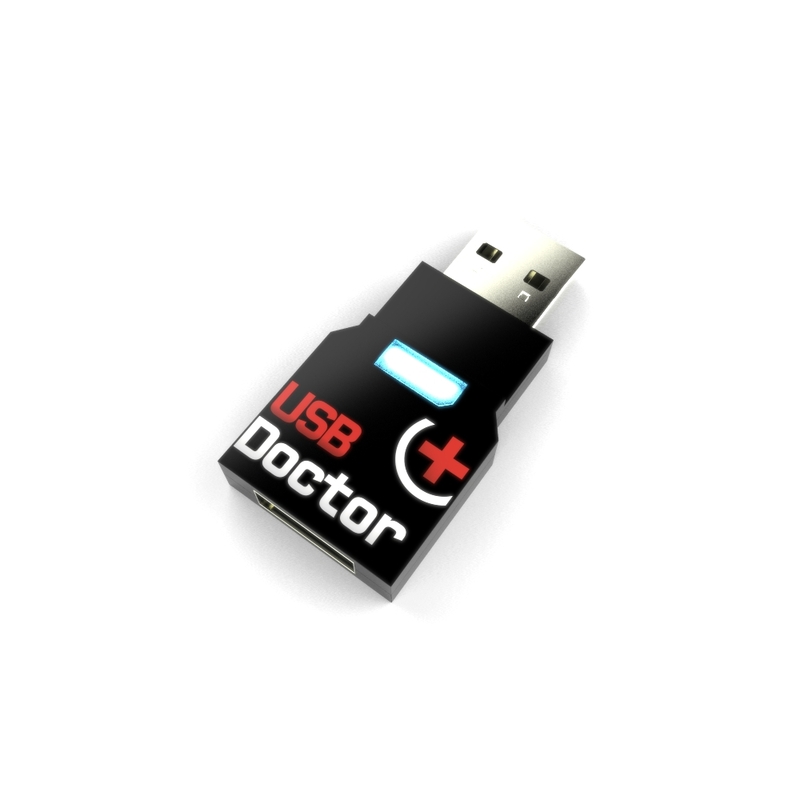 Just like any recent HDfury hardware, it comes with USB upgradable firmware. 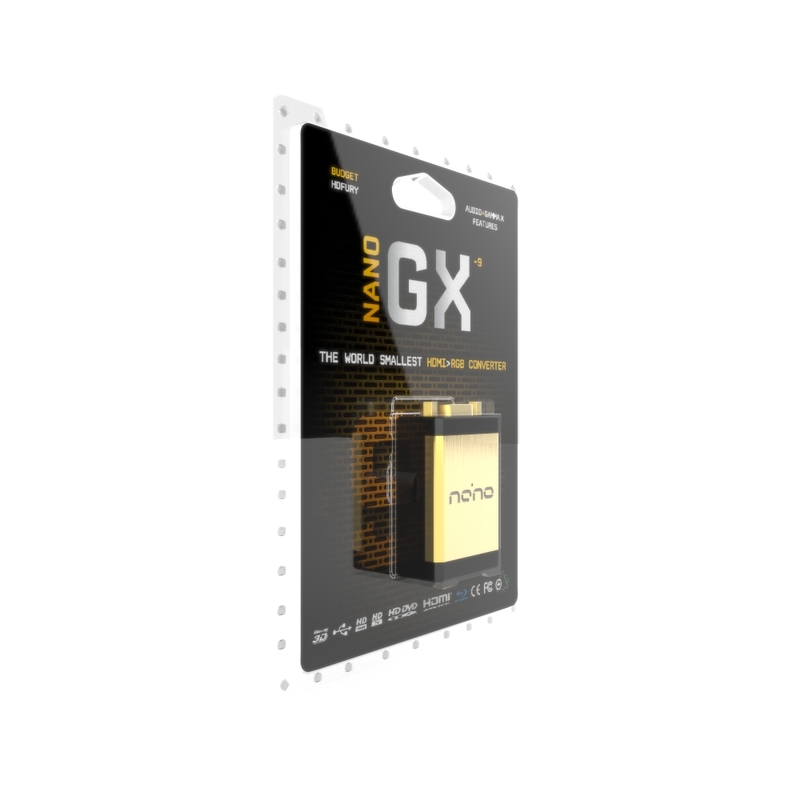 When used in standalone mode (no power supply cord attached) the Nano GX will perform just fine with most HDMI/DVI source devices. 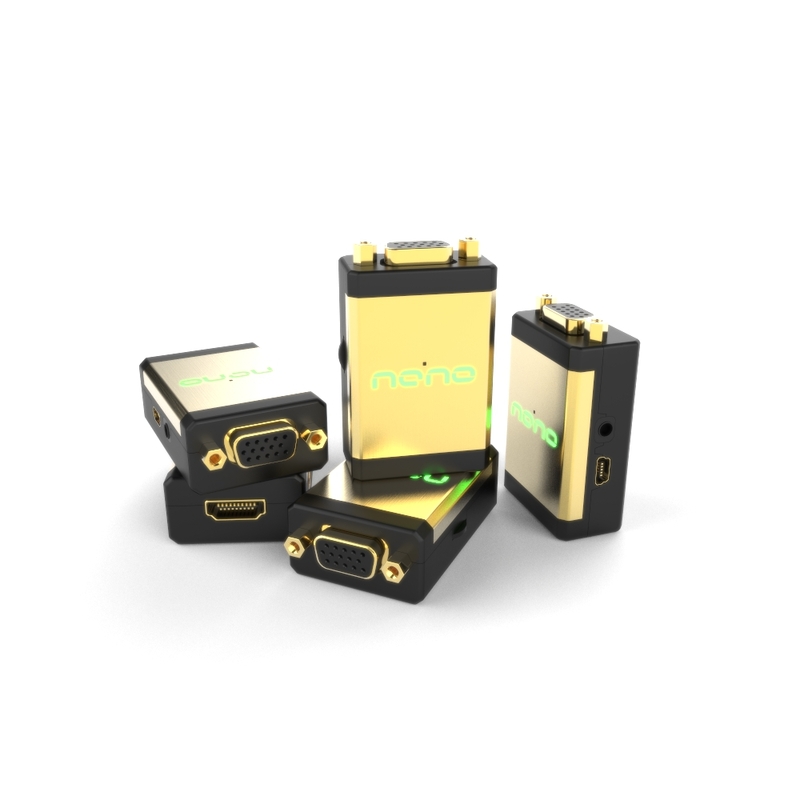 If for any reason the HDMI or DVI source do not provide enough current for the Nano GX to operate correctly, please disconnect the HDMI input cable BEFORE connecting the power supply or power cord. HDMI Female Port Input (100% digital). 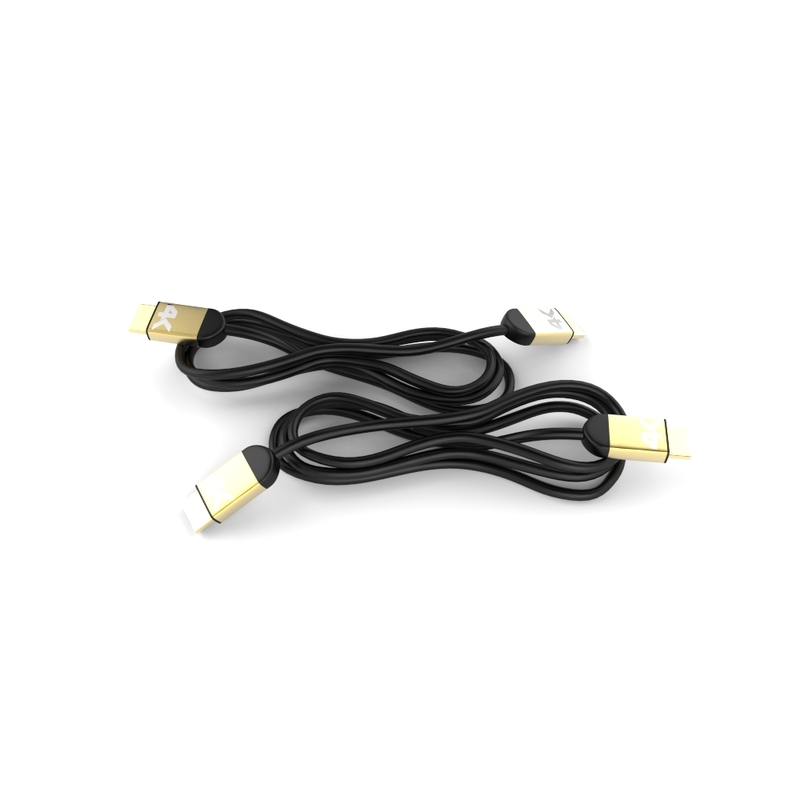 A HDMI -> DVI-D cable can be used to connect to an DVI-D(HDCP) source. Mini Jack output for analaog stereo sound. Gamma-X feature integrated (read below). Ultra short Analog links (<1 cm) on the Nano GX RGB 1080p for optimal quality. Green LED to display active digital link. HDfury maximum output limit is above the 1080p resolution which makes this device absolutely hassle free to handle 1080p video data flow continuously during years ! HDfury HDMI/DVI-D to VGA signal converter delivers clean video at the highest resolution up to 1920x1080P. It’s an in-line adapter easy to install, connect to any VGA display and run a HDMI/DVI cable to your source. The DDA delivers native resolution video with the internal 1.65Gbps bandwidth, ideal for both PC and AV sources. 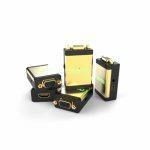 – HDfury is also compatible with the 3 Tubes projectors from Barco such as BD701, BG701, Ciné 7, BG800(s), BG801, BD808(s), BG808(s), BG1208(s)(/2), BG1209(s)(/2), Cine 8 (Onyx), Zenith Pro 1200, Cine 9, Cinemax. Output: RGBHV HD-15 D-Sub (VGA) Female Connector (direct connection to TV, PJ, monitor). Plug-and-play, no extra steps required. Adjustable Gamma Boost for restoring lost shadow details. Rotary potentiometer for easy Gamma Boost adjustment. 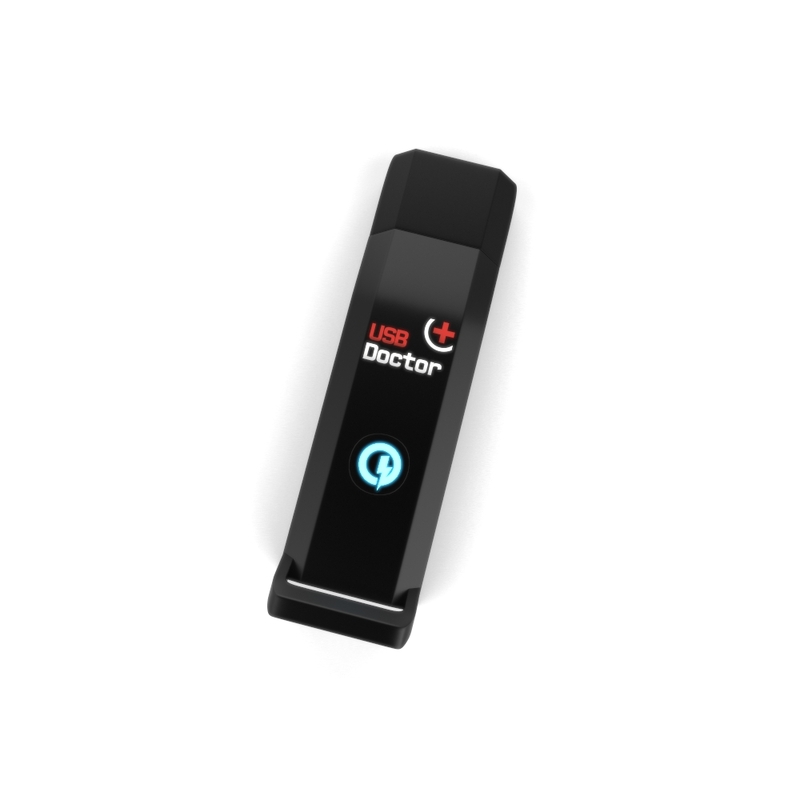 Supports all standard HD formats and SD formats: 1080p/1080i/720p/etc. in NTSC/PAL/SECAM. Supports all PC resolutions including extremely high resolutions such as 1600×1200/100Hz, 1920×1440/60Hz and 2K signals. 1. 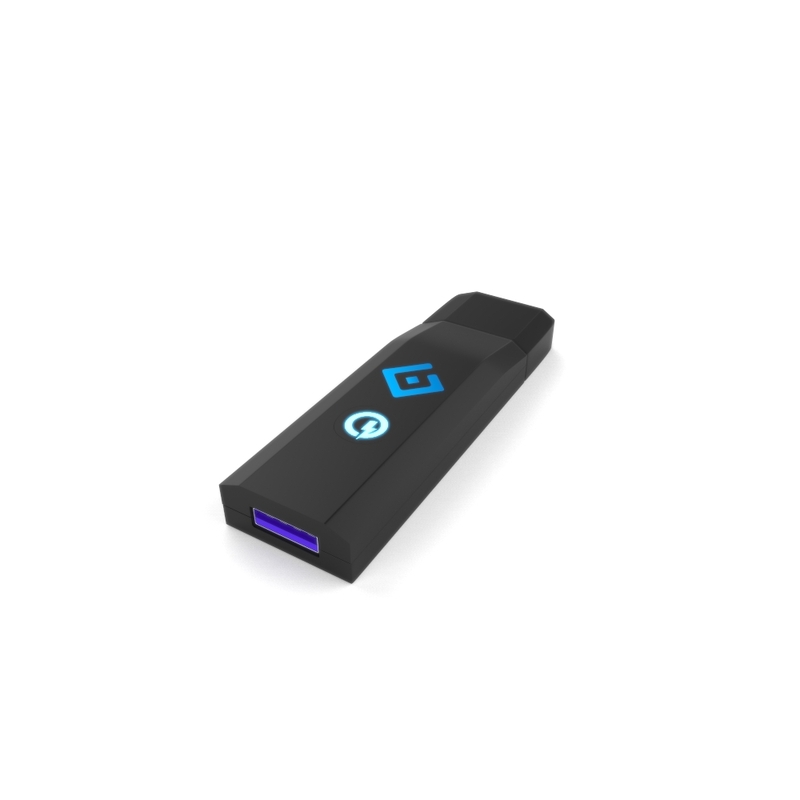 Connect Nano GX output to your display/device input. 2. If needed, connect the USB cable for power. 3. Connect the HDMI input. So once again, performing the above test will allow to find out if HDMI 720p or 1080p could be displayed on your screen with HDfury. Therefore it is best to use the above test to make sure that the HDfury will work with your display device ! Is HDfury compatible with my Source ? HDfury is FULLY compatible with all recent source devices such as the PS4, Xbox One, Roku, Tivo, Apple devices, PS3, X360 Elite, HD-DVD players, Blu-Ray players, HDMI graphics card and the latest set-top-boxes (STB) and DVD players with HDMI outputs. A power supply might be required for some sources. Some older STB and DVD players were released before the HDCP specs was finalized, and therefore may suffer from the HDCP handshake bug. The industry initially announced only one HDCP handshake at power up while on the actual devices and chipsets produced, this HDCP handshake has to be renewed continuously every 2 seconds. As explained by HDMI.org thes source devices will never be able to display any signal on even the newest HDMI displays. These source devices require a firmware upgrade. You should ALWAYS use the supplied breakout (extender) cable that shipped with your HDfury: No warranty on the quality can be given when using another breakout cable, especially cables that are longer. My display technically supports 1280×720 (and/or 1920×1080) through its VGA input (RGBHW either 5xBNC/Sub-D HD15/DB9) and I’m using a recent HDMI source. Unfortunately I have no picture on the screen. Once you hooked up HDfury to your display and ran a HDMI cable to your source the first thing you need to check is the Green led status: Is the Green LED ON ? The led indicates that HDfury is receiving enough power from the DVI/HDMI source and ensures that device is now operating and outputting an RGB signal. If LED is OFF, the HDfury is not working, and therefore no RGB signal is going out to your display. 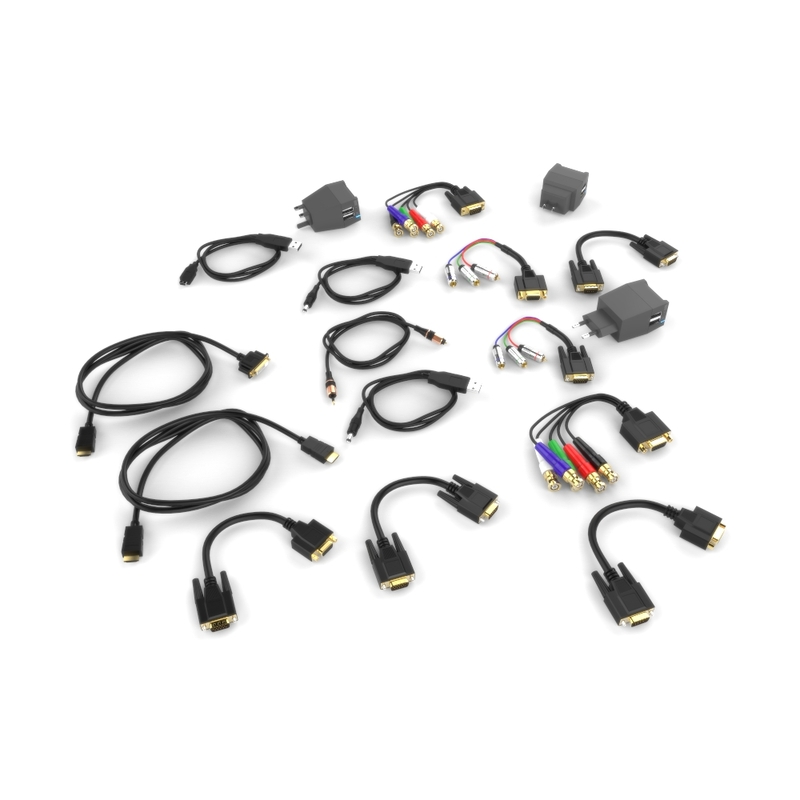 – The DVI or HDMI source is unable to deliver the 0.5A maximum current over its HDMI or DVI pin #14. – Provides REGULATED (+/- 5%) 5VDC power with 0.5A max DC current. Some notes on when you first connect the HDfury ! When you connect the HDfury for the first time you may see the screen shifted to the left > This is normal. As the HDfury comes with his own EDID, you will always have the H position to adjust. For example, you can connect HDfury to your PC VGA screen, and you will see that the first time the picture is shifted to the left. Why do I need GammaX? On most TVs and projectors movies and games are too dark or missing detail in dark scenes. GammaX fixes this by adding a ‘Gamma Boost’ without washing out the picture. Simply plug the GammaX directly into the HDfury2, HDfury, HDfury Gamer Edition, or any device with RGB output and enjoy a more vibrant picture with perfect shadow details! Using the original HDfury or HDfury Gamer Edition? The GammaX also includes a cable driver which lets you use monitor cables or long RGB projector cables (any length) without having to plug the HDfury or HDfury Gamer Edition directly into your TV! The included power supply is not needed when the GammaX is used with the HDfury2, simplifying the cables and connections. (The power supply is needed for HDfury, HDfury Gamer Edition, or other RGB source users). Many projectors and displays only work with either positive or negative sync RGB signals. 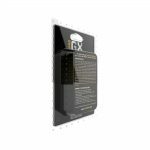 The GammaX provides a user selectable positive or negative sync switch for displays that only accept negative sync such as the following projectors: Barco 800/801/808/1208, Dwin 500/700, and so on. 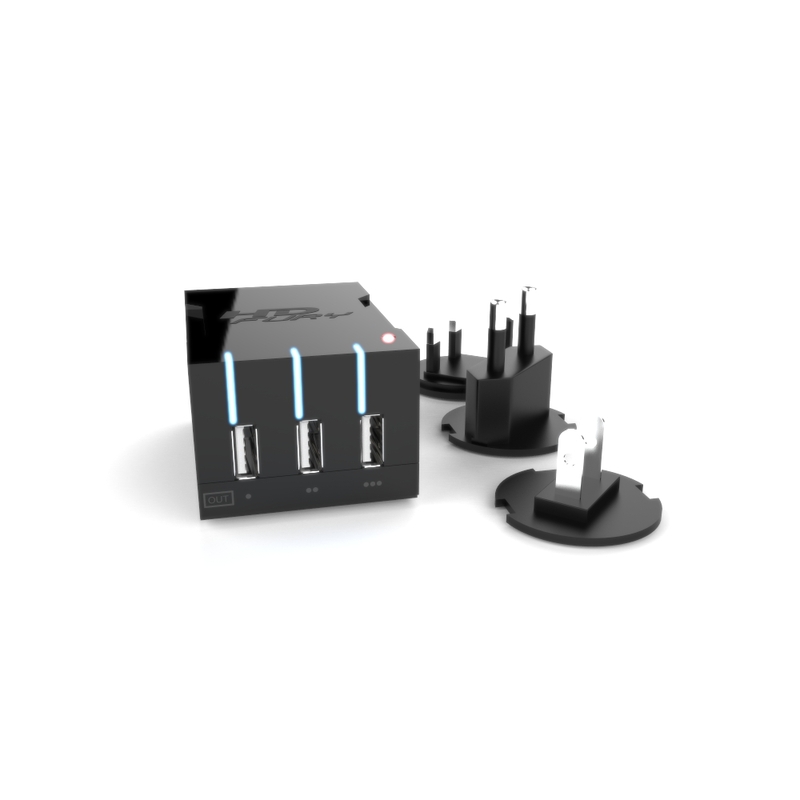 The GammaX is 100% Plug-and-play. No configuration or extra steps required. GammaX works at all resolutions, including 1080p and beyond. Note: GammaX does not support component signals, only RGB. This includes the HDfury2 set to component (YUV) output mode. Why does Gamma X works? In most displays shadow detail is severely limited or completely missing. When there are a lot of dark areas in the picture they simply appear as a uniform black area even though the original content has a lot of detail. This phenomenon is next to impossible to compensate for by conventional means such as increasing brightness as true blacks start looking grey and the overall picture becomes washed-out. GammaX selectively addresses only the correct black information of interest (the shadow detail) to create a very dynamic looking picture with rich shadow detail. The level of correction is adjustable for maximum detail for your particular display. Want to learn more about Gamma Boost and why it matters? 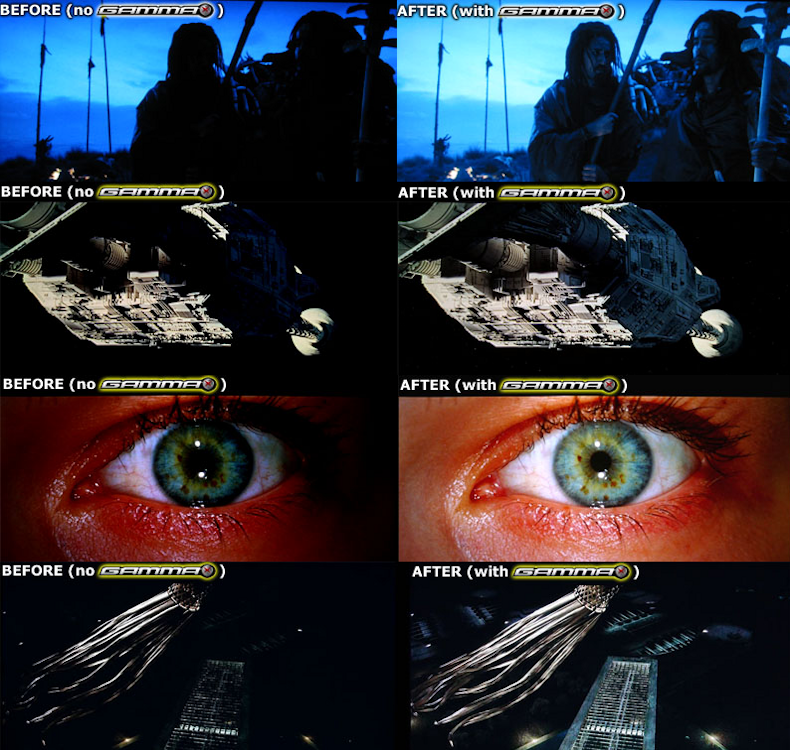 To find out why proper gamma is critical to image quality and movie reproduction, see the Curtpalme.com Greyscale & Colour Calibration for Dummies guide. The Nano is simply awesome. Can now also run the PS4 on a VGA CRT with this device, way better than the PlasmaHDTV I’ve been using. When the device needs to decript HDMI signals, it needs the cord for USB power. My little CRT can do 720p60Hz, and the tiny amount of super-sampling from the PS4’s downscaler in combination with the CRT scanline bloom, low latency, and low persistance creates an awesome visual. I just wanted to post that I received my Nano yesterday, which was very quick, and it works as advertised. I needed a simple solution to attach my AppleTV v3 to a LG Plasma TV that has lost the use of all it’s HDMI ports. I just plugged the Nano into the TV’s VGA port and it worked. The Nano is a LIFESAVER. It works entirely as it said it would. I bought it to connect my PS4 to an VGA monitor because the cheap connectors do not work and it completely pulled through. Although I was on the fence with buying it, the purchase was definitely worth it. Another great feature is the Gamma X. There is a slider on the side of the nano, much like a volume slider, that adds or removes additional brightness as you please, which definitely came in handy. Overall, I rate this device an 10/10 and highly recommend it for any HDMI to VGA connection.